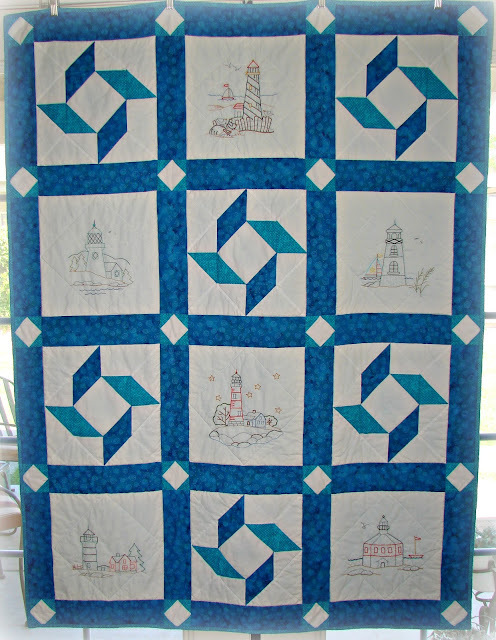 I love the ocean and lighthouses! So one day when I was looking for a new embroidery project and came across this Lighthouse pattern package, I immediately saw a future quilt. 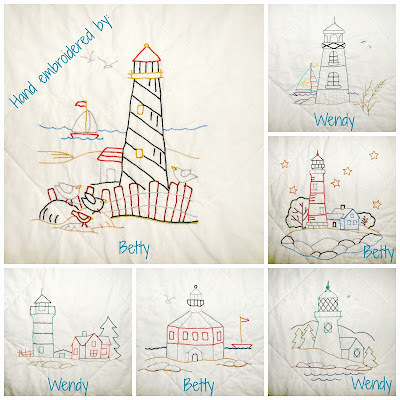 My mom and I like to embroider so I asked if she wanted to help out. Here's the result. 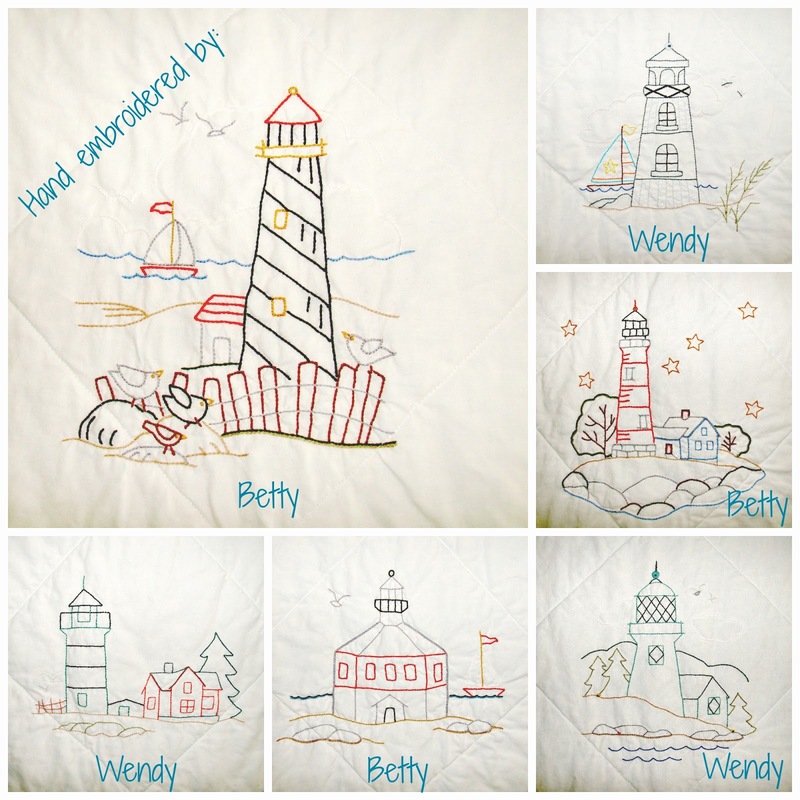 We embroidered 3 lighthouses each.